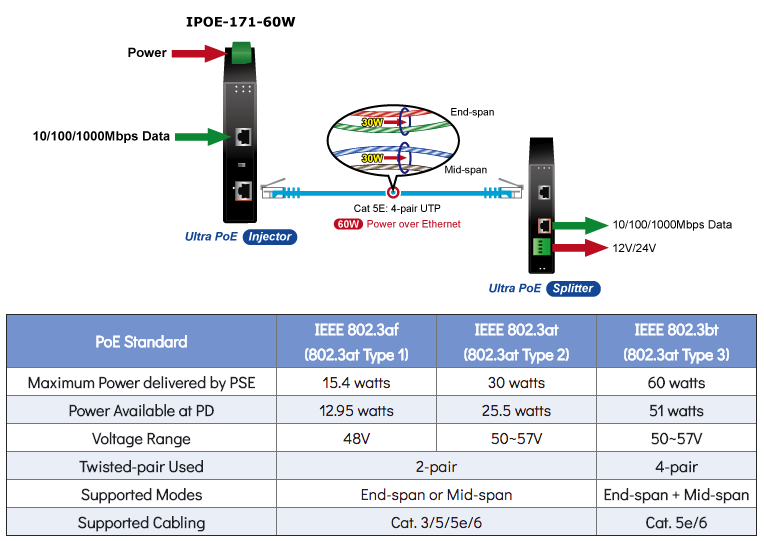 The IPOE-171-60W and IPOE-171S Ultra PoE solutions use the IEEE cabling standard. Instead of delivering power over 2-pair twisted UTP, be it end-span (Pins 1, 2, 3 and 6) or mid-span (Pins 4, 5, 7 and 8), it provides the capability to source up to 60 watts of power by using all four pairs of standard Cat. 5e/Cat. 6 Ethernet cabling. 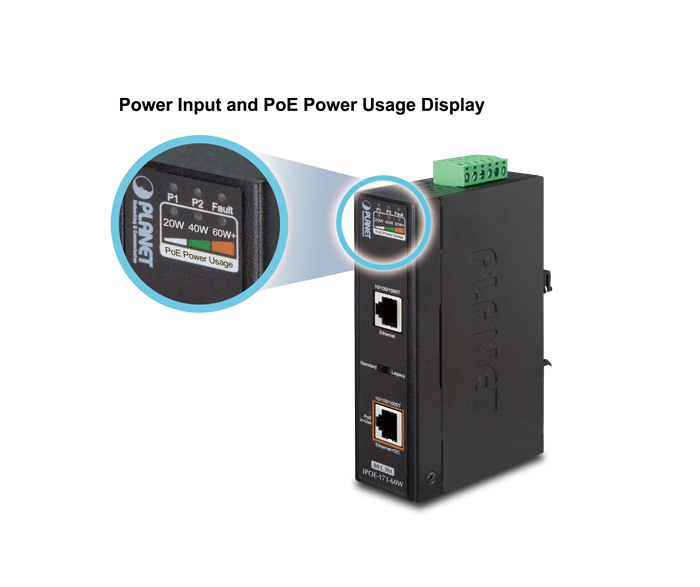 It is easy to install the PoE injector by way of Plug and Play and comes with simple troubleshooting, making it easy for industrial users to own it. 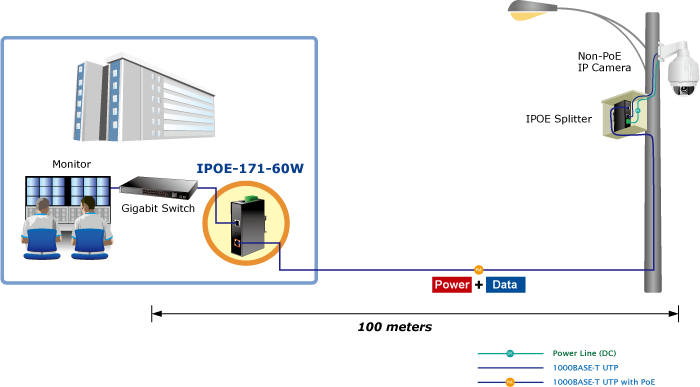 Besides, the IPOE-171-60W comes in compact housing, and provides two DC redundant power inputs, two power LEDs, fault LED and PoE-in-use LED. Two RJ45 ports — Ethernet port and Ethernet + DC port – are on the front panel. 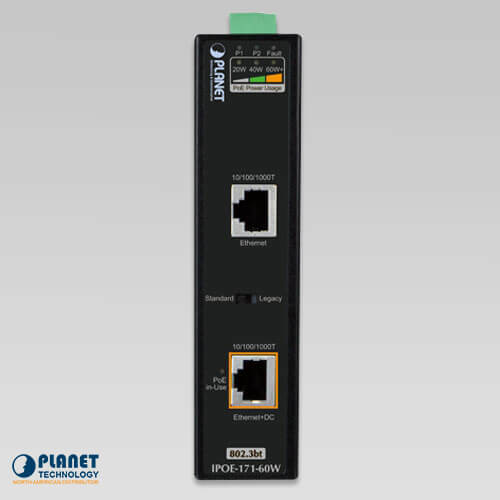 Backward compatible with both 802.3af/at PoE standards, the IPOE-171-60W allows users to flexibly deploy standard and high powered devices to transfer data and power simultaneously through one Ethernet cable for up to 100 meters. 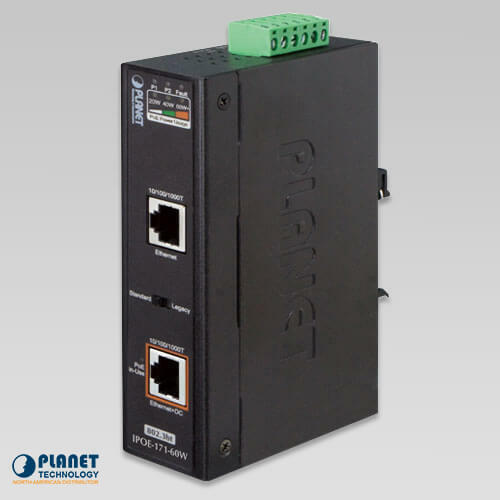 The IPOE-171-60W frees the security IP camera and wireless AP deployment from restrictions of power outlet locations and additional AC wiring. 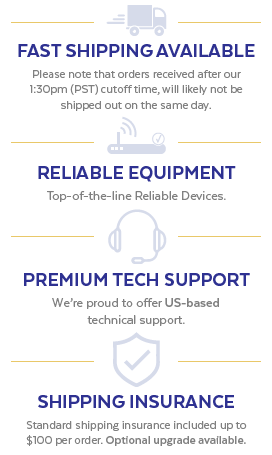 It thus reduces cables and eliminates the need for electrical outlets on the wall, ceiling or any unreachable place, and most of all, it reduces installation time. 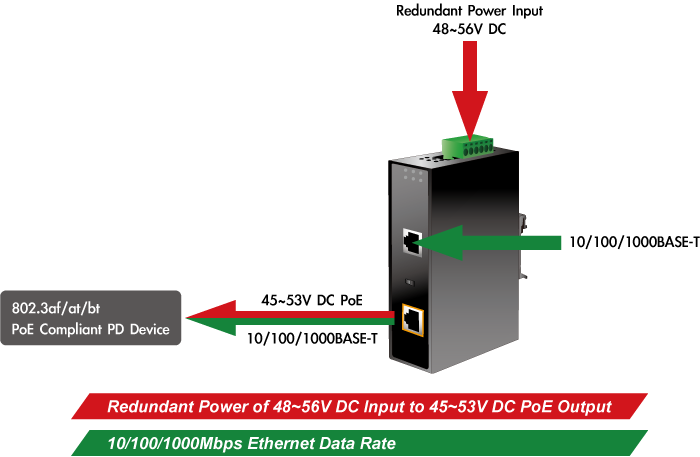 Today, the PoE demand expands from commercial applications to many critical networks in the harsh environment. 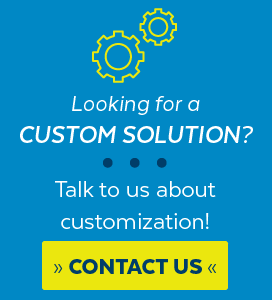 The IPOE-171 series will be one of the ideal solutions that provide a high level of immunity against electromagnetic interference and heavy electrical surges typical of environments found on plant floors or in curb-side traffic control cabinets. 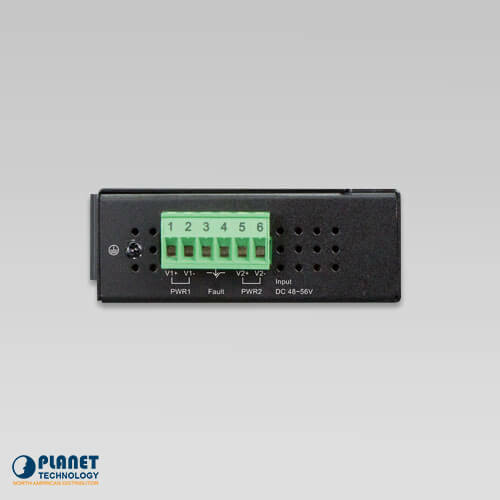 The IPOE-171 series can operate stably under temperature range from -40 to 75°C which enables the users to conveniently apply the device in almost any location of the network. The IPOE-171 series is also equipped with a compact IP30 standard metal case that allows either DIN-rail or wall mounting for efficient use of cabinet space.